Belgrano is one of the most refined residential areas in the City of Buenos Aires. There are many old and important houses in the neighborhood, and most of them are typical constructions from the end of the 19th century. Belgrano is a place with a lot of culture, tradition, and history, which can be appreciate while walking the streets through monuments, museums, libraries and magnificent parks. 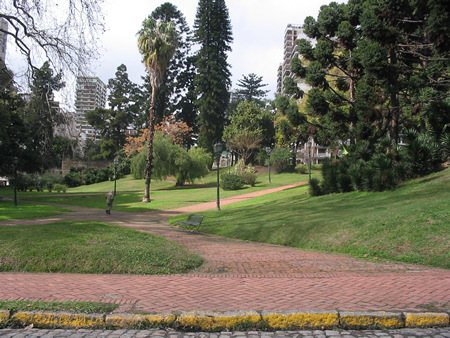 It was originally designed by Carlos Thays, a French architect who also designed many of the most beautiful parks in Argentina, and was hired by Domingo Faustino Sarmiento. Regardless of its historical past, Belgrano has today been chosen as a place to build modern, sophisticated, comfortable, and occasionally even spectacular apartment buildings. The railroad sets the border with Palermo, another classy area of the medium-high class, much like the majority of the northern areas of Buenos Aires. When Manuel Belgrano, who was a lawyer, general, and the creator of the national flag, died in 1820, the Room of Representatives of the Province of Buenos Aires decided that the next township to be founded would be named in his honor. When in 1855, during the rule of Don Juan Manuel de Rosas, a little town in the extreme north of the lands of the "Restaurador" was founded and named Belgrano. Thanks to its great location, the area grew quickly and had soon turned into a small city. In 1880, when the government left Buenos Aires for some time, they choose the city of Belgrano as the provisory capital of the Republic of Argentina, and the country was ruled from what is today the Museo Sarmiento (Sarmiento Museum). Seven years later, in 1887, the cities of Belgrano and Flores were declared part of the City of Buenos Aires, and have since then been incorporated as neighborhoods of the Capital. Belgrano suffered a demographic explosion during the last quarter of the 19th century, with massive European immigration and many rich families fleeing from San Telmo and Monserrat because of the yellow fever epidemic moving to the area and causing a significant increase of the population. It is in Belgrano where Buenos Aires China Town is located. It is the place to go if you are looking for typical foods and vegetables, or restaurants. There are also Asian schools, a Buddhist temple, supermarkets and stores specialized in soy products, and pharmacies. The first Chinese pharmacy was opened in 1990, followed by restaurants, supermarkets with a variety of Chinese, Korean and Japanese products, then came the libraries and record stores with products in these native languages. Today around 15.000 people visit this "Barrio Chino" each weekend. The 23 of November is the yearly Belgrano day, in memory of the date on which the town was created in the area of "La Calera", and would later become Belgrano. Rentals and Sales of Houses, Apartments, Offices, Town House, and other Properties in Belgrano. Sales, rentals, short term, commercial, student accommodation, holiday lets and apartment share. Belgrano limits with the following areas: Coghlan, Colegiales, Palermo, Villa Ortuzar, Villa Urquiza, and Nuñez.